Last month it was 20-year Edmonton scout/executive Kevin Prendergast that was shown the door and last week another long time Oiler employee was unceremoniously released. Chris McCarthy, a scout with Edmonton since 1992 and veteran of 17 NHL drafts at the Oilers table, was fired over the phone last Thursday. The wait is almost over. Last year we started a new tradition with our team-by-team draft previews and we're just about ready to do it again for 2010. If you're one of the hundreds of email senders who have been clamoring for this year's previews (and by hundreds I mean two or three individual people) then you'll want to check back here tomorrow, June 1st, as we kick things off. The 2009 series generated lots of feedback in the comments section and to our email in-boxes and we expect this year's version will be no different. We're changing things up a bit, more on that after the 'read more' click. There is another "report" circulating which originates South of the 49th parallel and takes aim at the Canadian Hockey League. The "report" focuses largely on the subject of education, not simply the scholarship issues but from a variety of view points including high school, grades, homework and study time. The "report" is so blatantly skewed towards the pro-NCAA end of the spectrum that it's embarrassing. I would think that even smart NCAA proponents like Paul Kelly would read such a release and think "Um... I'm not sure this makes 'us' look all that good." 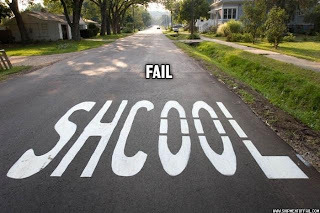 FAIL is an apt description. June 1st 2010 or 2011 deadline... 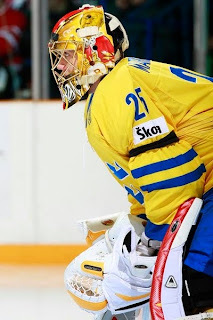 I guess it doesn't really matter any longer as the Florida Panthers have reportedly struck a deal with top goalie prospect Jacob Markstrom. 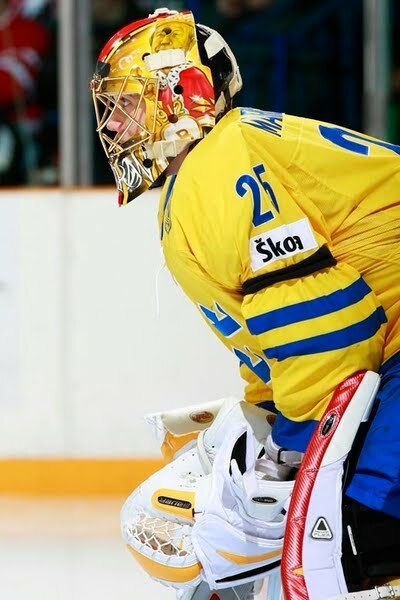 According to a couple of different sources (here's one) the Panthers have locked up the Swedish goalie with a 3-year deal. The Hockey News has had Markstrom pegged as the topped keeper outside the NHL in each of their last two Future Watch issues. That list I posted a couple of days ago is rapidly getting smaller with the news that both Roman Josi and Mark Barberio have come to terms with their NHL teams on entry level deals. Plus, there's a new update on the status of Jacob Markstrom and the Florida Panthers. The Regina Pats have done what Dean Millard has been telling me for several weeks that they would do; they have hired Chad Lang to be the new General Manager. The Pats have called a press conference for this afternoon to make it all official. With Brent Parker stepping down from the position but still being involved with the team, some fans want to know just how much freedom Lang will have when it comes to the team. "The hockey will be 100% Chad" Parker told The Pipeline Show earlier today. 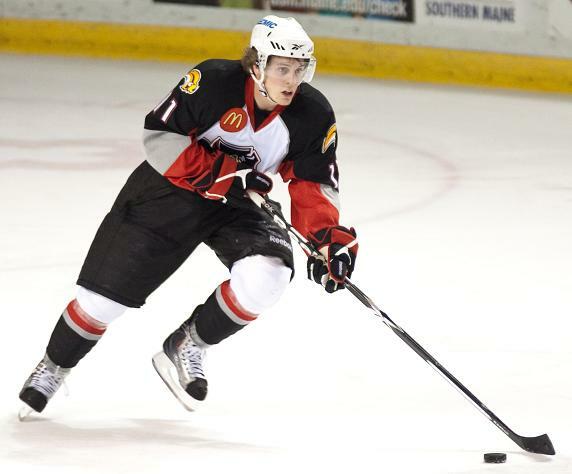 Lang has previous experience having held the position just a couple of years ago with the arch-rival Moose Jaw Warriors. Yesterday we posted a list of 2008 draftees who would see their rights return to the NHL Draft if they were not signed to entry level contract by June 1st. You can scratch two names off that list now as the New York Islanders have reached that agreement with defenceman Travis Hamonic and Anaheim inked forward Brandon McMillan. The prospect world has converged on Toronto this week as NHL teams poke, prod and sometimes provoke the top players eligible for this June's draft. Depending on who you ask, this is either a massive event for a player to make an impression or a minor evaluation process when compared to watching the prospects all year long. It's decision time for NHL teams that still have unsigned players that they drafted in 2008. Clubs will lose the rights to those players who they haven't yet gotten under contract and those players will return to the pool and be eligible to be drafted once again when the 2010 event gets underway on June 25th and 26th. There are still some significant names of the 'to do' list and with less than a week to go you should expect a flurry of contract activity... or trades over the next few days. 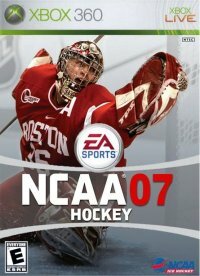 Ever wish you could guide the Boston College Eagles to a Beanpot tournament victory or the Wisconsin Badgers to a Frozen Four final? Well most of us can only dream of doing that in real life but through the magic of technology... gamers and NCAA hockey fans will soon have the chance to do exactly that. 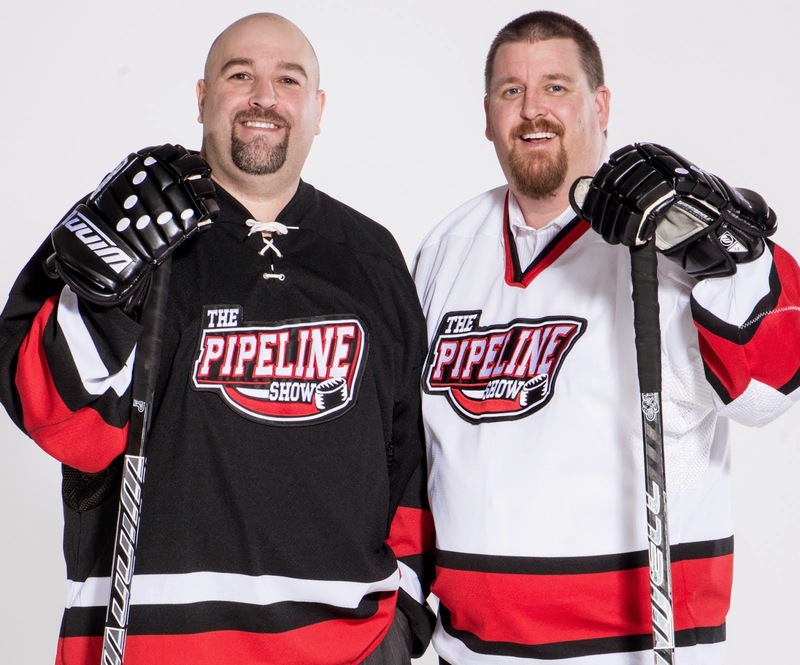 Paul Kelly, Executive Director of College Hockey Inc., made another appearance on The Pipeline Show Tuesday night and talked about a variety of things including the plans for a video game. 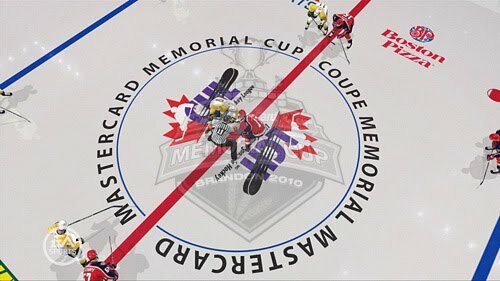 I made the drive from Brandon to Edmonton yesterday, and without a lot to look at I had plenty of time to try and narrow down the 5 things I would take from this year's Mastercard Memorial Cup. The organizers did a bang up job, the rink in Brandon looked very sharp, and while it wasn't the most competitive tournament in recent years, the best team won, which sometimes doesn't happen in a one game showdown. 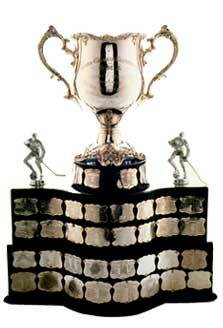 Here now is my Top 5 Tuesday, Memorial Cup style. 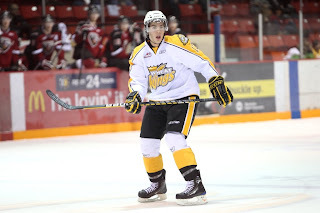 Wheat Kings and Windsor: Winner takes all. The city of Brandon is buzzing with nervous excitement as their team will play in a Memorial Cup final for the first time since 1979. Brandon will be looking for it's first title in franchise history. Windsor on the other hand is looking to go back to back and win their 7th straight Memorial Cup game after rattling off 3 straight last year to take the title. I didn't get to hear one of my favorite play by play men's call Friday night when Brandon beat Calgary in the Mastercard Memorial Cup semi-final, in overtime. He could have borrowed fellow sportsnet colleague Kevin Quinn's line if he wanted to, but I'm sure as clever as Peter is, he came up with something great. As did the Wheat Kings. Paul Kelly's comments are nothing new to listeners of TPS. His critical comments about the CHL can be found here. CHL commish David Branch responded on our show here. Recently Kelly, who works for College Hockey Inc fired off another round at the Canadian Hockey League and specifically the WHL, telling young kids to 'be smart' and not sign contracts with CHL teams. You can find that here. This afternoon at the Mastercard Memorial Cup in Brandon, Manitoba, the CHL held a news conference featuring WHL commissioner Ron Robison and Gilles Courteau who holds the same post in the QMJHL. I asked Robison about the latest comments from Paul Kelly. 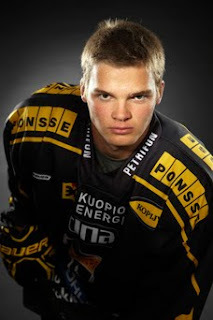 Who will be the first Dman taken in June? As far the back end goes for this June's draft the top 3 by most observers are Erik Gudbranson, Cam Fowler and Brandon Gormley. The latter 2 I was lucky enough to watch this week at the Mastercard Memorial Cup. In their head to head match up both Fowler and Gormley were both very good, but in that game alone I give Gormley the edge. He was particularly good against Taylor Hall and seemed to be on the ice every second shift. I've been lifting information from various NHL scouts all week long at the Keystone Centre and here's what I've gathered. Well that was interesting. Calgary skated away with dominating 5-1 win to wrap up the round robin portion of the Mastercard Memorial Cup and set the tone for Friday's semi-final rematch. The Hitmen didn't dominate the whole game, but just about. I thought Brandon came hard in the first, but the difference was Martin Jones who battled for rebounds and after getting beat just 29 second after Calgary had opened the scoring, didn't give the Wheat Kings a sniff. He made cross crease, reaction and 2nd and 3rd saves the whole first period. Then when Brandon was hoping to build momentum in the 3rd for the semi final, Jones snuffed them out on back to back 5 on 3 power plays and a 5 minute major. At the other end, Jacob De Serres struggled along with Brandon's blueline. To many times De Serres gave up a rebound and couldn't corral it before Calgary put it behind him. It didn't help that his mates stood around to much and gave Calgary chance after chance to beat him. Once again Jimmy Bubnick was terrific for the Hitmen, scoring once and setting up 3 others on route to a +4 night. Brandon's Scott Glennie didn't play much after the first period and wasn't on the bench for the 3rd. One Wheat King player with tongue firmly planted in cheek, said Glennie had a cut lip. Kelly McCrimmon didn't offer much about his status in the post game and some media members were wondering out loud if there even was an injury. Glennie hasn't been great during the tournament, but I can't see Brandon benching a top ten pick during the biggest time in franchise history. As for Calgary, Captain Ian Schultz is someone to keep an eye on for Friday night. Schultz blocked a shot on a late Brandon power play, and it was a rocket, as in possibly bone breaking. I asked head coach Mike Williamson after his news conference and he told me Schultz is ok...but who knows. This one did have some rough moments, like when Rigby Burgart cross checked Shayne Wiebe after the Brandon agitator stuck out his knee and left Calgary sniper Kris Foucoult limping off the ice. Burgart was given 5 and a game. There also 2 fights, in which Cody Beach of Calgary was beaten up twice. First by Travis Hamonic and later courtesy of Michael Ferlund, who had his pick of opponents when Ben Wilson also opted to drop his mitts. That's pretty much the only thing Brandon can take into Friday night from this one. Or maybe it was planned...yah...play so bad Calgary is lulled into a fall sense of security. That one will be floated by the same people who think Kelly McCrimmon started Andrew Hayes last Friday against Windsor because he thought they were going to lose anyway. One thing is for sure, Brandon has to bounce back on Friday, like they did against Moncton in their 2nd game, and they have to get their lack of success against Calgary out of their collective heads. The Hitmen, don't have to change a thing. One final note, this tournament is the reason Matt Calvert came back to Brandon this year, instead of signing with Columbus and playing in the AHL. Friday night has been on his mind for months, and he told me after most of the media had left, 'you don't come back to lose, and failure is not an option.' Brandon fans are hoping Calvert has 2 more games as a Wheat King. Tonight Brandon and Calgary meet up at the Mastercard Memorial Cup to determine who gets last change in Friday night's semi final. That's it, that's all. And as longtime WHL scribe Greg Drinnan just said to me, 'if you can't coach without last change, you're in trouble' Both Kelly McCrimmon and Mike Williamson can. These two teams know each other inside and out. Brandon beat Calgary 3 of 4 times during the regular season, while the Hitmen took out the Wheat Kings in the Eastern Conference final in 5 games. In fact Calgary has ended Brandon's season 3 of the last 4 years. Why would either team risk an injury? While the fans might not like it, I think we're in for a glorified game of shinny tonight. However, once these guys hit the ice and remember the rivalry, things could get intense. As for Windsor, they don't play for real until Sunday night. So what do you do if you're Warren Rychel and Bob Boughner? I get out of dodge for a while. Take a trip to the Peace Gardens or Riding Mountain National Park. Hell they could fly home and sleep in their own beds they have so much time off right now. The Spitfires didn't practice today, and might take tomorrow off as well. Taylor Hall was hit hard a few times last night, once by Brandon Gormley where he was slow to get up. When I asked him about it after the game he said it wasn't the Gormley hit so much that slowed him down, but a lingering effect from the Travis Hamonic crushing on opening night. However, he was quick to point out, it wasn't anything serious. By the way he's playing, I'm not sure anything can slow him down. In the 2001 Memorial Cup, the Red Deer Rebels had already secured a spot in the final when they took the ice against the host Regina Pats. The Pats won, picking up their first victory of the tournament to force a tie breaker game. They dispatched Ottawa in that affair before losing in the semi-final. For most of Tuesday night's tilt at the Mastercard Memorial Cup it was looking like deja vu all over again. Moncton came into the contest winless, while Windsor had already punched it's ticket to Sunday's final. The scrappy Wildcats led by goaltender Shane Owen (more on his incredible story in a second)held leads of 1-0 and 3-2 before Windsor forced overtime and eventually won it on an Eric Wellwood goal. This was the best game of the tournament so far, and tomorrow's could be the least interesting as both Brandon and Calgary will meet again in Friday's Semi-Final. As for Shane Owen, he almost became the biggest story of the week, which has been Taylor Hall, after he started in place of an ill Nicola Riopel. Owen was waived through the entire Ontario Hockey League and was shelled earlier this season for 8 goals by Windsor. On this night though he stood on his head facing 52 shots as wave after wave of Windsor goal seeking forwards came at him. Windsor put up 20 shots in the 3rd and outshot Moncton 13-2 in overtime. The match up between Brandon Gormley, a top Dman for this year's draft and Taylor Hall was a great one to watch, and Hall was held to just a single assist. Gormley scored once and added an assist with a +1 rating and seemed to be out every second shift. Fellow blueline draft prospect Cam Fowler was very good as well, scoring a late first period goal that allowed the Spitfires to start the second period tied. 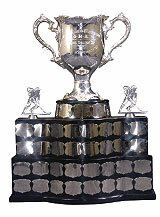 The Spitfires now have 3 full days before Sunday night's final, where they will either face Brandon or Calgary. Heard Around the Memorial Cup Campfire:WHL coaching vacancy? Russian Roulette? Word is that WHL coach of the year Mark Holick may be leaving the Kootenay Ice for the AHL. Holick is reportedly the new bench boss for the Syracuse Crunch. Last year the Crunch were the AHL affiliate for the Columbus Blue Jackets. However this spring it was announced that Anaheim would be stocking the Crunch roster and it appears Holick will be the head man. Holick led the Ice to 43 wins this year, 6th most in team history, and a 8 win improvement from last year. 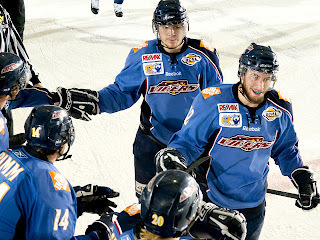 Kootenay finished 4th in the Western Conference this year. I'm also hearing that the reason Kirill Kabanov was sent packing from the Russian under 18 team was pay back for him leaving the KHL in the first place for Moncton. Kabanov by the way would gladly play for the Wildcats tomorrow if they called him. He's in Calgary right now staying with his agent. You will find out more about the Russian enigma Tuesday in the Globe and Mail. 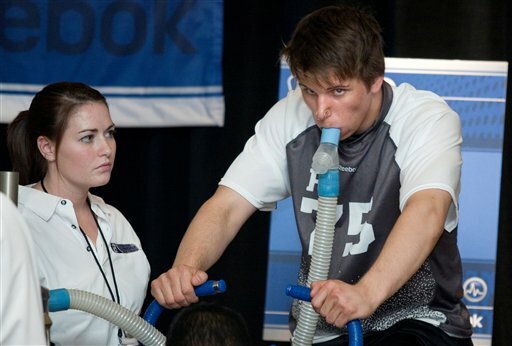 And there are a million reasons why he likely won't bolt the NHL for the KHL anytime soon after he's drafted. After Moscow Spartak traded his rights to Salavat of the KHL, which somewhere along the line, a million dollars was exchanged, Kabanov used an out clause in his contract to leave for the QMJHL. I'm not sure a lot of Russian teams are going to be anxious to throw more money at him. 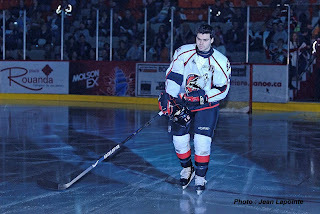 By the way I'm told Kabanov would return to Moncton next year as well. Enjoy Moncton and Windsor and we'll hopefully bring you some more camp fire stories on Tuesday. It's pretty hard not to bump into a scout, GM or Coach from any level of hockey here in Brandon at the Mastercard Memorial Cup, and thankfully they all hang out behind the media section. That's where I found out tonight the search to replace Steve Pleau as Oil Kings head coach is down to 5 guys, and none have recent WHL experience. The two teams that dropped their tournament openers met on Sunday, the winner would still have a terrific chance of making it out of the round robin but the loser would have a huge hill to climb at 0-2. After an embarrassing 9-3 pounding at the hands of Windsor on Friday, Brandon wanted to prove that they belonged and did so with a 4-0 blanking of the Moncton Wildcats. A horrible gaff at a most inopportune time cost the Moncton Wildcats dearly and gave the Calgary Hitmen a huge win at the Memorial Cup on Saturday. The WHL champions overcame 3-0 and 4-2 deficits and scored with just over a minute remaining in regulation time to steal the win and did so without the aid of the CHL's top scorer. Wow. That was pretty impressive. Do you think I'm talking about Jordan Eberle's near record tying outing at the World Hockey Championship or Taylor Hall's huge statement at the Memorial Cup? 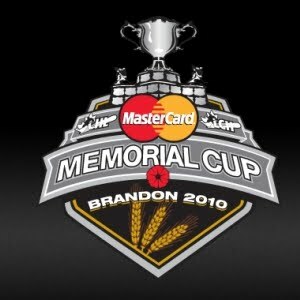 The 2010 Memorial Cup begins this weekend in Brandon and will feature the three CHL league champions and the host club. On those teams there are a total of 33 drafted/signed players and a few big names who will be scooped up by NHL teams this June. Here's a quick look at who I think are the top 5 key contributors (amongst many) at this year's Memorial Cup. 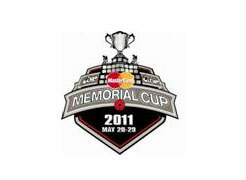 Major 2011 Memorial Cup Hosts. 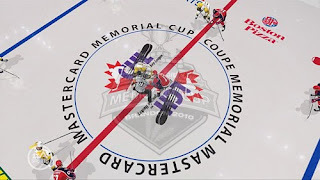 The CHL announced today that Mississauga will host the 2011 Mastercard Memorial Cup. The release is here. A lot of people were thinking Windsor was going to get it, but that would mean 3 straight years for the Spitfires and I think that works against them. It's a pretty great recruiting advantage. The Majors had a good regular season finishing 5th overall and losing out to Barrie in the OHL's Eastern Conference final. As for this year's tournament, the 3 billet family finalists have been announced. One will be very familiar to Edmonton and WHL fans. Read that release here. Also I know a lot of people in Manitoba are excited about the re dedication ceremony that will take place at CFB Shilo. Here's another way the host committee is involving the Military. Tomorrow night Guy and I will welcome representatives from all 4 participating teams, as well as continue our look ahead to the 2010 NHL draft. Thursday's outdoor game at Veletins Arena in Gelsenkirchen, Germany between the host nation and USA was memorable for two reasons. 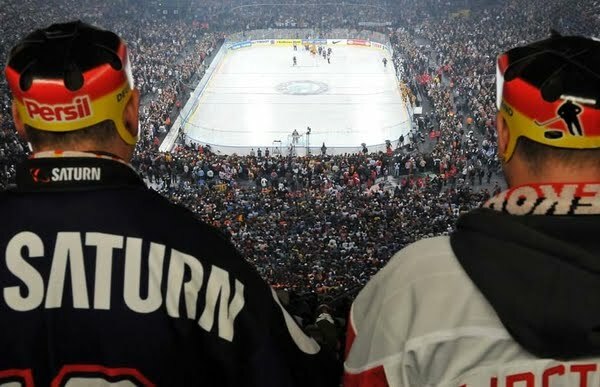 First, Germany won the game beating the Americans 2-1 in overtime and secondly, the 77,803 fans who packed the soccer stadium represented a record number of people to take in a hockey game. The Germans like to party and they hooted and hollered, chanted and chortled throughout the entire contest, some may have even cared about the game. I am half kidding - I know there is a dedicated following for the sport in Germany but having been in the crowd at the Heritage Classic in 2003, I can tell you that being able to say you were there is probably as satisfying (if not more than) than actually living through that freezing experience. For now, congratulations to Germany for putting on a big show and setting the new record. Enjoy it while you can because in 8 months your record is going to be just another footnote. Circle Dec 11th on your calendar and prepare for what is bound to be a hockey spectacle like no one has ever seen before. The Vernon Vipers have captured their second consecutive RBC Cup title after defeating the host Dauphin Kings in a 8-1 drubbing today in Manitoba. It is the 6th national title for the club since it first won the national Jr. A championship in 1990. The team is now a perfect 6-0 when in the final game. Vernon went 3-1 through the round robin portion of the tournament, the loss coming at the hands of the Kings in the opening game back on May 1st. The Vipers rattled off 5 straight victories including 4-2 over La Ronge, 5-3 against Oakville, 4-2 over Brockville. Vernon shutout Brockville 2-0 in the semi-finals before trouncing Dauphin in their own rink. Magnus Paajarvi-Svensson has been added to Sweden's roster for the World Championship. MPS was added Sunday before Tre Kronor's game against Norway. 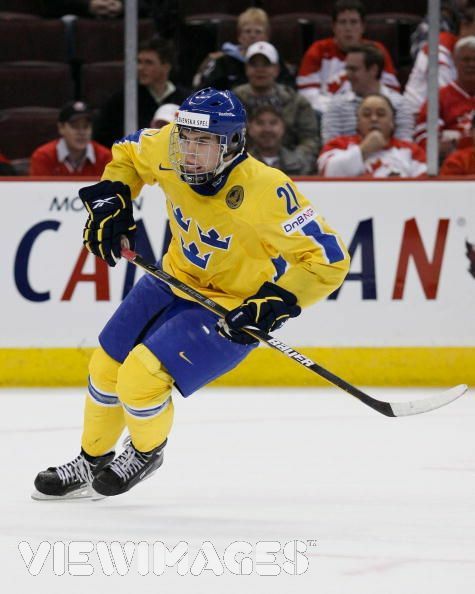 He joins fellow Oiler prospect Linus Omark on team Sweden. No doubt Oilers brass will be watching closely to see how both prospects might stack up next year in either the NHL or AHL. It would also be nice to see Jordan Eberle get in a game or 2 and see how his game measures up. Brett Connolly is a top prospect for the upcoming draft and someone TPS has been excited about even before he joined us in studio last year during the WHL awards/draft week. 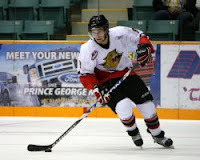 The Prince George Cougar forward also does some guest blogging for us, and you know we'll be checking in with him before the draft once again. I had one scout tell me this year that if Connolly was healthy, he might have been able to sneak into the Hall/Seguin discussion and make a case for being a top 3 pick. It's my belief if he slips out of the top 5, whichever team snags him is getting a steal of a draft pick...if he stays healthy. Connolly had major hip problems this year, but in a conversation with Chris Botta recently proclaims his hip problems to be in the past. It's a good read, and definitely worth your time. Click here to check it out. Is Brent Parker Stepping Down? The Regina Pats have called a news conference for today, and speculation is that G.M. Brent Parker will step down and former Moose Jaw Warrior G.M. Chad Lang will be his replacement. So remember how on April 26th I mentioned that the Oilers had to sign both Phil Cornet and Teemu Hartikainen by June 1st, but was then corrected by the organization that the date didn't actually affect the Finn? It sounded odd to me then but that's what the team told me. Then on May 3rd I passed on the further details of Edmonton's explanation as to why they actually had until June 15th to sign Hartikainen. Tyler's Tale: From a Tiger to a Pirate to a Sabre. Last night Sabres rookie Tyler Ennis - pictured celebrating his first NHL goal- joined us for most of the first segment in studio. The Edmonton product just returned last week after suiting up for the Sabres in their first round playoff loss. The Edmonton Oilers have announced that they have inked 2008 5th round selection Philippe Cornet to a 3-year entry level deal. Details can be found here. 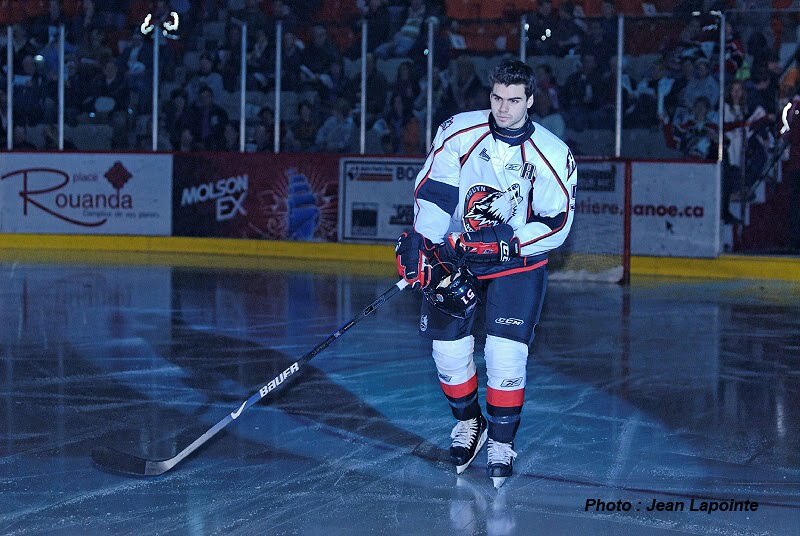 After 3 years with the Rimouski Oceanic, Cornet ended his QMJHL career with the Huskies of Rouyn-Noranda where he matched his scoring total of 77 points from the previous season. Cornet ended his junior days with a total of 224 points, just shy of a point-per-game as he appeared in 235 QMJHL contests. The Quebec native represented the QMJHL during last year's Subway Series against the Russian Selects and also earned a tryout for Team Canada's entry for the 2010 World Junior Championship in Saskatoon but was a late cut. So much for the QMJHL President's Cup final being a hard-fought, tight-checking series guaranteed to go seven games. The Moncton Wildcats have owned the Saint John Sea Dogs in the first two games, punctuated by a 9-3 win Sunday in Moncton. 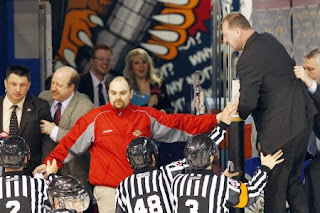 Saint John coach Gerard Gallant snapped, climbing the glass because he felt Moncton's Danny Flynn was disrespecting his team by putting the backup goalie in in the late stages. The AHL Rookie of the Year and key prospect of the Buffalo Sabres will be in studio during this week's edition of The Pipeline Show. We're excited to have Tyler Ennis live and in person with us for about 45 minutes on Tuesday. Not sure if we'll open the phone lines to take live calls or not but you sure can email us your questions or comments for Tyler. Players who were drafted in 2008 have either been signed already or will need to be in the coming weeks or else they will be dropped back into the prospect pool and available once again in the 2010 NHL Draft. The Edmonton Oilers have a pair of players that they still need to get under contract but there are different deadlines for each one.